Criminals are getting much sneakier thanks to technological advancements. According to Business Insider, “relay crime” is a new tech-savvy way criminals are able to unlock vehicles using a relay signal box and steal them instantaneously. Gone are the days of picking locks and spending a significant amount of time stealing cars, because relay signal boxes make it much easier to get into a vehicle and start it up right away. 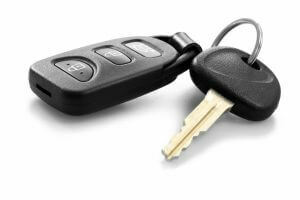 The process works by electronically signaling the vehicle and telling it that a key is present and inside the vehicle, even though it’s nowhere near the car in question. So what can property owners do to ensure that all aspects of their property, their valuables, and their families are safe? Security consultations are an important part of providing full security for your property and everything on it. Currently, across the United States, there are an estimated 18 million home security systems installed in homes. Following these residential security consultations, installing one of the recommended security systems could likely be your best bet at protecting your property. According to a police study, roughly 85% of respondents believe that home monitoring systems help prevent criminal burglary attempts. In fact, as reported by a University of North Carolina study, roughly 60% of convicted burglars said the presence of home security systems actually did influence their decision to target one property or another. Make sure you’re doing everything in your power to protect your home, your vehicles, your valuable items, and your family at all times. If you’re looking for quality home security consultation Seattle WA has to offer, contact Allied Fire and Security right away.